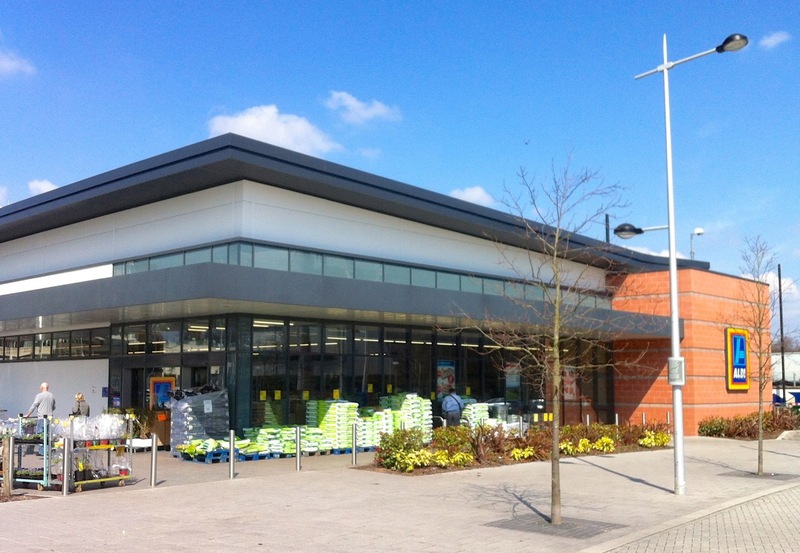 This bright and shiny new Aldi store recently opened close to where I live. Having never shopped in Aldi I thought that it looked nice, was very convenient, and has a reputation for good value, so I decided to give it a try for my weekly groceries. Being a fairly organised and logical type of man, when I shop I arrange my trolley to position heavy things at the bottom, group similar items like canned foods, frozen foods, vegetables, bakery items, etc and then organise the check-out belt in similar fashion for ease of packing. In most supermarkets this makes it easy to pack my shopping after it has been scanned by the check-out operator. But after I had placed all my items on the belt at Aldi, and then went to the check-out point, I found that their check-out design has nowhere to pack your shopping, and that the operator whizzes items through at high-speed. This caused chaos. I couldn’t pack in time with the operator, there is no space for goods to be placed after scanning, and both myself and the operator started getting irate with each other. The operator told me that I shouldn’t pack at the till, and should place my items back into the trolley (which I didn’t have) and take them to a separate counter for me to pack in bags. Ouch! Shopping in the way Aldi wants me to shop was even more frustrating than I thought it would be. Not only is it necessary to load your trolley whilst shopping, it is necessary to unload onto the check-out belt; reload into the trolley (at the very high speed operators throw things through the bar-code scanner, meaning its impossible to organise goods properly ); but then un-load them onto a separate counter in some sort of order so they can be packed again, this time in bags. This is far, far from lean in practice, being both time-consuming and frustrating for the customer!